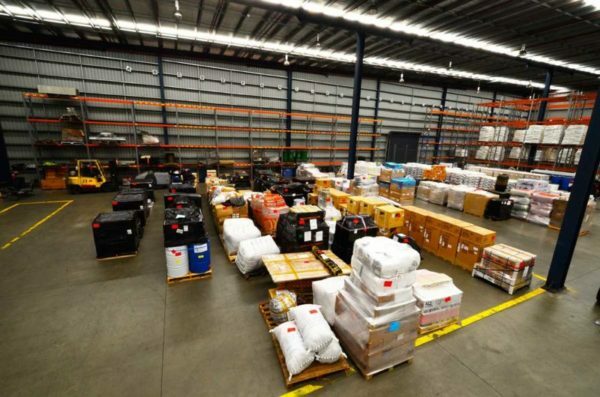 At Trojan Transport we have the capacity to securely store up to 250 containers weighing up to 30 tonnes on site at our 9,000sqm warehouse at Port Botany. Here, your goods can be conveniently stored close to the airport, Sydney’s wharves and major highways, ready for freight forwarding. With a 77G licence, we offer our clients the convenience of under bond storage for FCL awaiting customs clearance. This cost effective and fully secure alternative to storing goods on Sydney’s wharves can save your company tens of thousands of dollars across the year. Naturally, our warehouse and under bond FCL storage service is monitored with camera surveillance and a 24 hour security patrol. 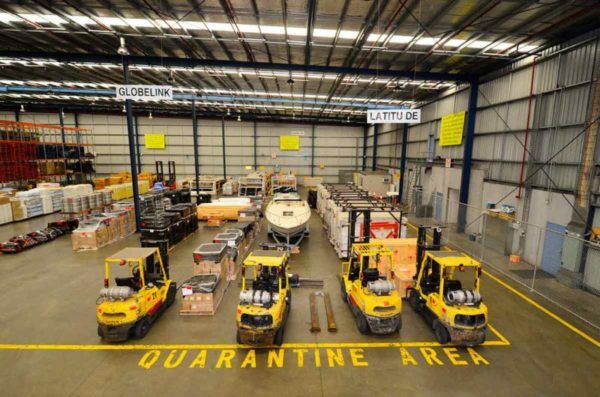 At Trojan we have 9000 sqm of modern, clean and secure warehouse space dedicated to storing containers, pallets, machinery, cars, trucks and more. Our entire warehouse is monitored with back to base alarms and security cameras. And, to further enhance security, a professional team of guards patrols our warehouse 24 hours a day, 365 days of the year. With an Australian Customs Bond Store Licence, we can transport your containers from the wharf into under bond storage quickly and hold them securely until customs clearance is complete. This cost effective, secure alternative to expensive wharf storage means you can defer paying customs duties and taxes until you’re ready to take full delivery of your consignment – saving you thousands of dollars across the year. What’s more, customs clearance delays will no longer eat away at your profits. Our free store is available for both short and long term storage at cost effective rates – so now you can free up your own warehouse space and be assured that your goods are held in the safest hands. Trojan’s state of the art on-line logistics management technology lets you check and audit the stock you’re holding at our warehouse at any time. In addition, you can download statements, print unpaid invoices and book freight forwarding.